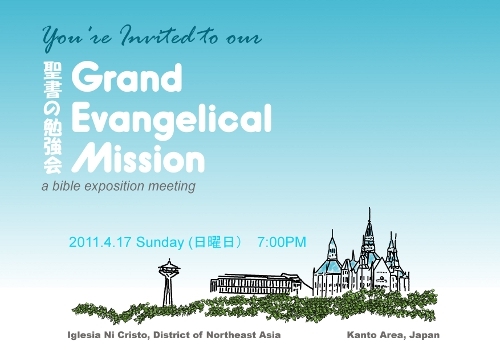 Our Church (Iglesia Ni Cristo) here in Tokyo and in other parts of Japan's Kanto area will be having a bible study meeting on April 17, 2011. Everyone is invited so if you are in Tokyo and would like to join us in our study, please drop us a note so that we may accompany you to the study meeting. Note: The lessons will be delivered in Japanese and in English/Tagalog.